The 2014 Sochi Winter Olympics are starting soon! Use the Winter Olympics as a great learning opportunity for you and your children. Head over to Mama’s Learning Corner for a huge round-up of Winter Olympics Crafts & Activities, Printables, and Unit Study Resources. You’ll find links to tons of fun learning activities: Olympics chalk pastels, Dot Marker Olympic Rings, Torn Paper Torches, Pretzel Olympic Rings, DIY Laurel Wreath Crowns, and more! 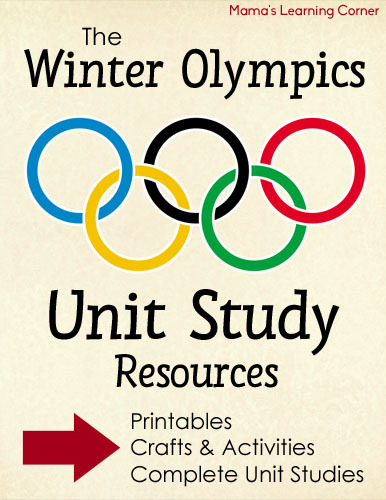 Click here for more Winter Olympics Resources!